Teams from Australia, New Zealand, Korea, and Taiwan will compete with a spot at BlizzCon on the line. There’s plenty of World of Warcraft competition this week. 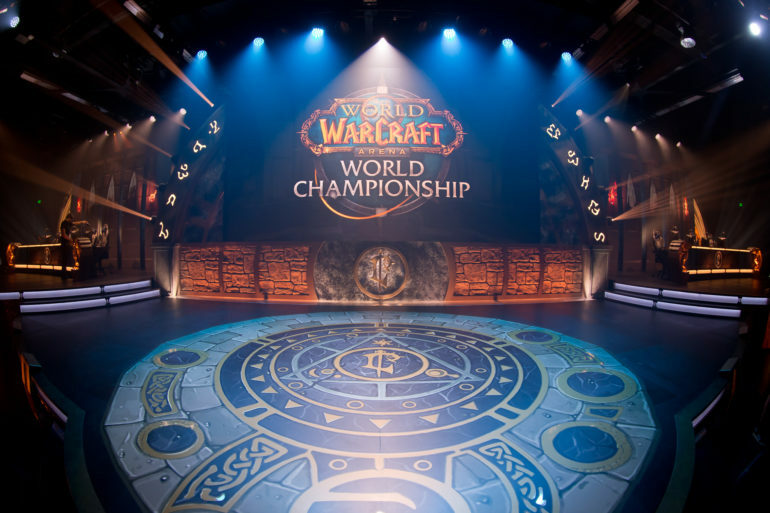 The Asia-Pacific (APAC) Regional Finals of the WoW Arena World Championship hit Sydney this weekend. Three teams from Korea, two from Taiwan, and three from Australia and New Zealand will compete for $50,000 and a single spot at the Global Finals at BlizzCon in November. The eight team tournament begins Friday, Sept. 21 at 8pm CT (or Saturday, Sept. 22 at 11am AEST). It will conclude the next day starting at 8pm CT on Saturday or 11am AEST on Sunday. Matches will be broadcast in English, traditional Chinese, and Korean on Twitch. The tournament will feature the new maps added in recent expansion Battle for Azeroth. If you’re still trying to learn how to position on Mugambala or Hook Point tune in to take some tips from the pros. Australia and New Zealand have a long history of producing talented World of Warcraft Arena players, many of whom competed on North American teams in the past. In 2017, UnitasGG, who will be competing in the regional this weekend, became the first Australian team to compete at BlizzCon. But they’ll face some tough competition this weekend. Gronks looks like the strongest team in recent local cups, and Mad Dog features Jia Xing “Yoske” Kent Foong, a legendary hunter who has competed alongside many of the game’s top PvPers and who you may recognize immortalized as a Horde captain NPC in Ashran. They’ll be challenged by ZFA and ROC Bear King’s Braised Foods from Taiwan and three strong Korean squads, Team Beast, Give It, and Misfit Toys. Misfit Toys includes one player who will seek to return to BlizzCon after representing Korea there in 2014 and 2015, Kim “Yeonyeon” Minsu. Last year, Korea failed to reach BlizzCon in World of Warcraft for the first time since 2010, so they’ll be hungry to make sure that doesn’t become a trend. All in all, it should be an exciting event, so make sure to tune in.